Although the parents of Windy and her brothers doesn’t get much screen time, the pair is notable. Dress in nice pants, dress shoes, a button down, and a vest or cardigan to be Mr. Darling. Try to find a cane, a pair of glasses or a pocket watch to make the costume complete. 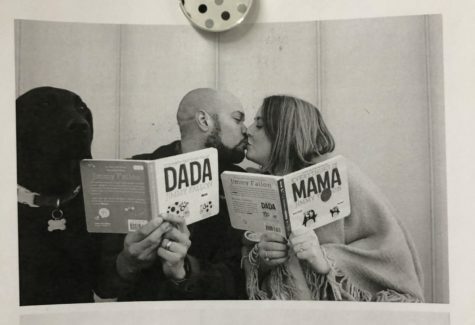 For Mrs. Darling, find a tea length or longer dress and slip on heels. Put your hair away from your face with a ribbon, add pearls and a floral pattern. Staff writers Olivia Madderom and Grayson Bohelender dress as Captain Hook and a clock. 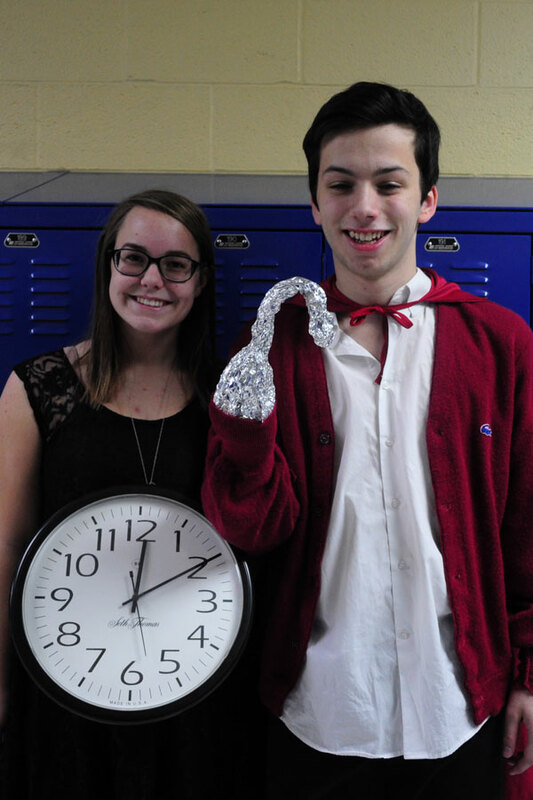 Captain Hook can be easily pulled off. 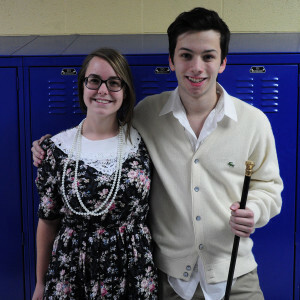 Wear black pants and black boots (or black shoes), a white button down and a red cardigan, jacket, or cape. Add a black hat if you have one, and fashion a hook out of tin foil. You can pencil in a mustache too. For the clock, wear all of one color and print out a picture of a clock. Tape it to your tummy or find a small clock and hang it from your neck. 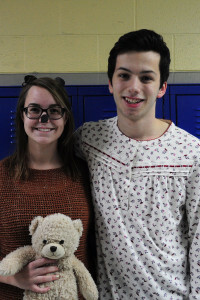 Staff writers Olivia Madderom and Grayson Bohlender dress as Michael and his teddy bear. As Michael, you can wear footie pajamas, and if you don’t have those you can simply wear pajamas. Wear slippers instead of shoes. As the teddy bear, wear all brown and cut out round ears from brown construction paper. Tape the ears to a headband, and color the tip of your nose brown. Or, for an easier route, take a teddy bear and tape it on yourself. 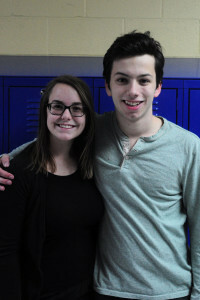 Staff writers Olivia Madderom and Grayson Bohlender dress as Peter Pan and his shadow. Wear green pants and a green shirt with brown shoes. Buckle a brown belt around your waist and try to add some kind of hat with a red feather. Try wearing black leggings, black shorts and a black shirt to be Peter Pan’s shadow. Make sure you follow your date around and match his movements.